With a delicate wrought iron framework and detailed accents of brass in a Golden Bronze finish, the Zaragoza Collection reflects a romantic leitmotif with classical styling. 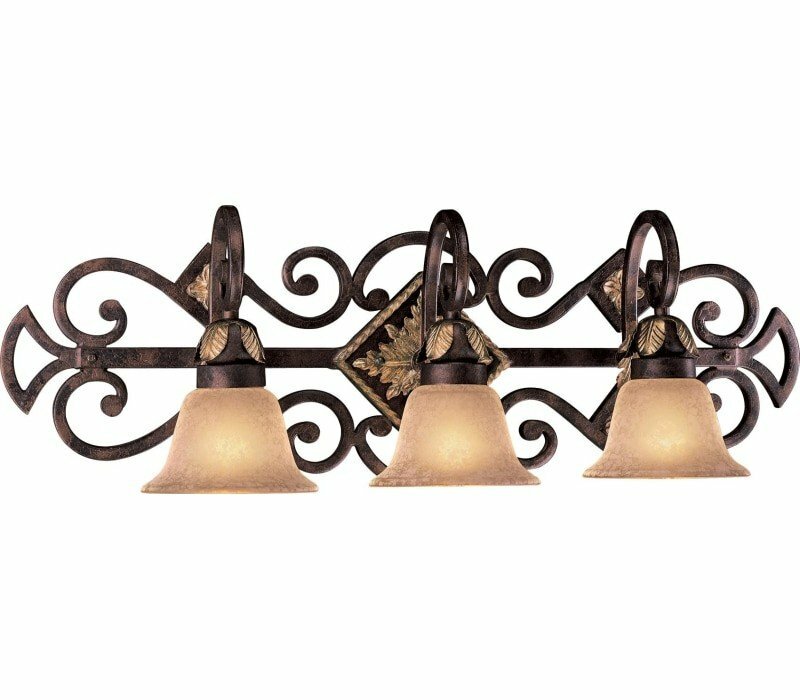 The Metropolitan N2233-355 Zaragoza collection Vanity Wall Lighting in Golden Bronze uses Incandescent light output and brings Antique style. This item is 10.5"H x 32"W x 8.25"D. The total wattage is 180 and the voltage is 120 volts. 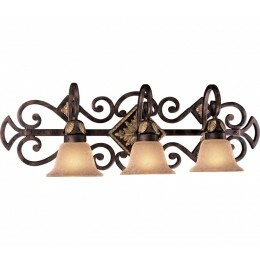 The Metropolitan N2233-355 requires 3 bulbs (not included). Additional Information: Shade-Salon Scavo Glass.